Greetings from sunny Glasgow! We’re at The Gathering, an annual event for charities in Scotland that aims to be a focal point to share ideas, debate and keep up-to-date with the latest developments in the sector. Spread over two days and hosted by SCVO, more than 3,000 participants visit the SECC on the banks of the River Clyde. 1. More than ever, charities need to be able to demonstrate their value. The measurement and evaluation question has never been more crucial when making the case for funding. As one participant put it ‘we need to be able to show what we are achieving, or we put ourselves at risk’. 2. That measuring well-being can add to what many charities already do. One attendee at our workshop said how our approach to quantifying soft outcomes could add a new dimension to their monitoring and evaluation. 3. That measuring well-being can be a way for Scottish charities to set themselves apart. Our approach that asks young people to say honestly what they think and feel shows that your organisation cares about improving and learning. It also addresses many of the challenges posed by the government’s focus on Getting it Right for Every Child. A big thanks to everyone who has visited our stand, and we look forward to continuing the conversation. Thanks also to SCVO for its work putting on the event and see you next year! 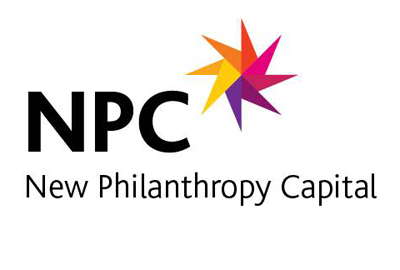 To visit our website and read more about NPC’s Well-being Measure, click here. You can also learn more by watching our new videos here.